Phwoar! Devil May Cry is back in fashion, and it's look very promising. IGN has captured 15 minutes of Devil May Cry 5 gameplay (we know it's the Xbox One version, by the way) and it looks sick. Like, sick as in sick. It looks fast, fluid, and totally over-the-top. There are some sweet moves on show here, with Nero cleaving his way through groups of enemies as he rampages across what appear to be the streets of London. This is pretty much exactly what we wanted to see from Devil May Cry 5's big gameplay reveal. How do you think it looks? Pull your devil trigger in the comments section below. This looks really good. Like you say, just what the doctor ordered. Yeah, this is looking pretty strong! Graphic and gameplay looks pretty cool but it looks to easy and the enemies are just standing there waiting for you to attack. It need to be more challenging than this. Looks great. I especially like the sound effects. @Morenoj1220 well. they're playing with automatic on and I'm assuming that the demo is on a low difficulty so I wouldn't worry. I’m finishing the original trilogy now and soon will start the fourth game. I will buy this game on the release date. Feels like it doesn't need to be so dark and that glass in the corners has to go, but yep, that's definitely some Devil May Cry. 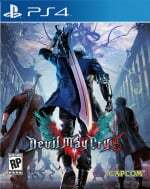 @Morenoj1220 - Every DMC game has enemies that just wait to be attacked, they aren't really aggressive until DMD difficulty, it's par for the course. Have to say that video was pretty bad though, it looks like another Ninja Theory game and that boss fight was nothing more than a reimagined Berial fight from DMC4. Not impressed at all. It looks like DMC. That is a good thing. @FullbringIchigo these types of demonstrations are usually set to an easier difficulty so that's probably it. I remember being bored by the initial reveal of Doom 2016 because the demo was taking things at a much slower pace. @AlekseyVolkov No. Turning DMC into Nu-GoW is the worst possible idea. @Orpheus79V Yep, gameplay previews are usually set at the easiest difficulty! I didn't think anyone needed to point that out, lol. @PS_Nation Congrats bro! I should give DMC1 another shot, just waiting for the Trilogy to go on sale again.